Taking place in a new, bigger venue, PLAY Expo will be held at the Manchester Central Exhibition Centre and will welcome over 25,000 videogames fans through the doors for two days of gaming brilliance. On the Expo stages, you will find talks from gaming celebrities, cosplay displays and tournaments for gamers of all skill levels. You will also find immersive live experiences, including John Robertson’s critically acclaimed ‘The Dark Room’ and ‘Knightmare Live’, the celebrated stage adaptation of the 80s-90s cult TV show Knightmare. 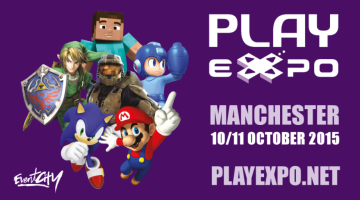 Tickets cost: Adults £20, Child £14, Family (2 adults, 2 children) £58 per day or Adults £34, Child £24, Family £96 for the Weekend ticket and can be bought from playexpomanchester.com. The two-week extravaganza will be at the Museum of Science and Industry from August 3. A limited number of early bird tickets for daytime sessions go on general sale on Thursday, May 24. They are available until June 21 – but once they’re gone, they’re gone. For access to priority booking from Tuesday, May 22, sign up to the Museum of Science and Industry mailing list at msimanchester.org.uk/powerup. Household names PS4, Xbox One and Nintendo Switch sit alongside iconic retro consoles including the SNES, SEGA Dreamcast and the original educational computer, the BBC Micro. There are also specialist areas for Pacman, Minecraft and Fortnite. PLAY Expo Manchester, the largest video game expo in the North of England, announced today a series of specialist gaming stages that will feature for the duration of the expo and provide visitors with a weekend of non-stop gaming attractions! Taking place at EventCity, Manchester, October 8th and 9th, PLAY Expo will have the gaming stages running in addition to the latest games to play, the Red Bull 5G Tournament, VR attractions, merchandising stalls, table-top gaming area, retro-gaming action and so much more, providing a packed schedule of entertainment, with unmissable, interactive attractions for gamers everywhere. Powered by WiFi Wars and Gamerdisco, the Main Stage will play host to an unrivalled array of industry panels, talks, and perhaps most exciting of all, visitors will have the opportunity to take part in the legendary, multiplayer live show Wifi Wars! Winner of the Time Out coveted ‘Not to be Missed’ award and hailed as a Top Ten ‘Geek Night Out’ by Metro, WiFi Wars is hosted by Steve McNeil (Dara O’Briain’s: Go 8-Bit) and Chris Slight (Sky News) and promises a mad-cap show full of comedy and interactive gaming for all ages! The Fighting Stage powered by MBA (Manchester Battle Arena) offers a chance for visitors to take part in fighting game tournaments throughout the weekend. With exhibition and casual play available, gaming pugilists can practise to their hearts content and if they’re feeling brave, for a small entry fee of just £5, enter the tournament for their chance to win a share of the £500 prize pot available! Powered by the prestigious online audio magazine and podcast, The Sound Architect, The Sound Stage plans to offer a fascinating insight into the world of gaming audio, with an eclectic mix of panels, presentations, Q&A’s and much more. Guests to the stage include the award winning, BAFTA nominated composer David Housden, Voice Actor Jay Britton (heard recently in The Turing Test), Sound Designer for the VR phenomenon Eve: Valkyrie, Ash Read and Matt Griffin, composer of Unbox from Prospect Games. PLAY Expo warmly invites Cosplay fans of Great Britain and beyond to the show! Powered by Rock BandTM Rivals from Harmonix®, the Rock Band Rivals Cosplay Stage will be hosting a number of events throughout the weekend including a masquerade on both days with prizes for the best characters as chosen by our panel of judges! In addition, guests to the expo will have the opportunity to build-a-band and take part in the Rock Band Rivals tournament, as well as previewing the new game before general release! 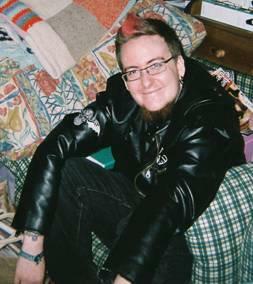 Cosplay specialists Dark Cleo Productions will be organising the stage events and running the Cosplay masquerade. Bound to be the most eye-opening part of PLAY Expo, plenty of press and magazine photographers will be at the event, and the expo encourages everyone to come in character should they feel so inclined! 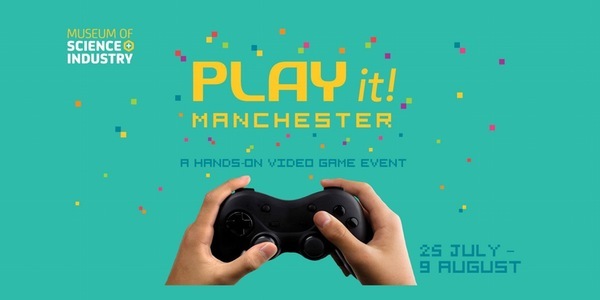 Returning for its fifth year, PLAY Expo Manchester is a highly popular two-day video game event, ideal for all the family and offering visitors an unrivalled experience with features, tournaments, exhibitors, industry guests, panels and so much more. Celebrating gaming and popular culture, the expo uniquely caters for casual fans and dedicated gamers alike and promises to be an event not to be missed. The UK’s biggest ever game jam for professionals is to take place in Manchester this May, bringing together more than 200 developers working within the industry across three days to create brand new games from the ground up. The first major game jam of its kind to take place in Britain, ‘Jamchester’ is the brainchild of local games industry network Gameopolis and HackManchester, which has successfully hosted scores of 24 hour coding competitions over the last five years. Jamchester will also be supported by headline sponsors Microsoft, mobile publishing giant Chillingo and regional business accelerator Tech North. Other sponsors lined up include PlayStation, Unreal, recruitment agency Amiqus, and local game development college SSR. Jamchester is designed to fly the flag for games development within the North West of England and the UK as a whole, highlighting its strength, diversity and, most importantly, its future. Teams of between one and four people will compete on a level playing field, with Jamchester’s defining theme set to be revealed at the start of the competition. Student teams will also be taking part, giving them the perfect opportunity to network with other studios and industry professionals in attendance. With a judges line-up that includes Gary Napper of PlayStation VR, Creative Assembly’s Catherine Wooley, Microsoft’s Technical Evangelist Lee Stott, local indie developer Alex Rose and PlayStation’s Claire Blackshaw, Jamchester will take place in The Studio, an events space right in the centre of Manchester’s Northern Quarter. Prize categories will include (TBC) – Best Game, Best Audio, Best Graphics, Best Gameplay, Best Tech Achievement, Innovation Award, Best Company Game, Best Student Game. Today Replay Events are thrilled to announce that Bandai Namco Entertainment UK will be bringing Dark Souls III, the latest game in the critically acclaimed Dark Souls series, to Play Expo this October 10th- 11th. This will be the first opportunity for the public to play the already lauded action RPG title that sees the return of Demon’s Souls and Dark Souls director Hidetaka Miyazaki. Dark Souls III brings the new Battle Arts system to combat which Miyazaki calls ‘an evolution’ as it builds on the series’ trademark sword and sorcery combat and adds a new layer to the combat system. The trademark online multiplayer functionality has also evolved to seamlessly integrate online interactions into the single player story. Dark Souls III is a turning point for the series and will be released in April 2016. So don’t miss out on the chance to be one of the first people to play Dark Souls III on PlayStation 4 and book your Play Expo tickets today!